In March 1916, a small advertisement appeared in the twice weekly Aiken Journal and Review promising a new attraction: “Gala Day—Society Event. 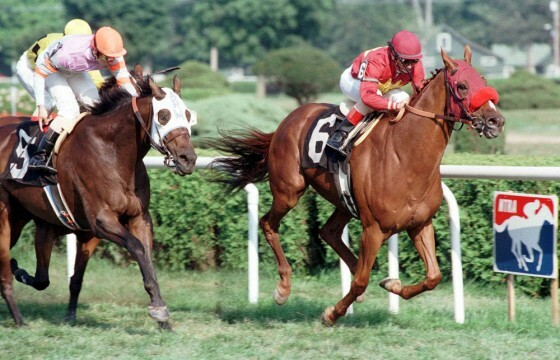 Unexcelled Exhibition of Thoroughbred Horses. March 18, 1916,” it declared. 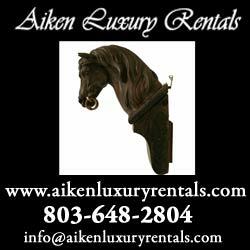 The ad was put out in cooperation with the Southern Railway Company, which had been commissioned to run special trains to and from Aiken to bring spectators to the very first Aiken Horse Show in the Woods. At that time, traveling by train was by far the most comfortable and popular way to get around – the highway system had not yet been created, roads were usually unpaved and there were few services for motorists outside the big cities. If you wanted people to come to an event, hiring a train was the way to go. In 1916, the Aiken Winter Colony was having its best year yet. The hotels were “almost crowded” with “winter tourists” the Aiken Drag (now the Aiken Hounds) had just been officially recognized by the Master of Foxhounds Association, and Aiken society was dominated by dashing horsemen and daring horsewomen. The show was intended to give these horse enthusiasts an avenue for competition. It was also created as a fundraiser for the Aiken Hospital and Relief Society, which was established by Hope Iselin, a sportswoman and socialite who had a winter home in Aiken. Mrs. Iselin had reportedly won a large sum of money playing poker with her friends. An heiress to immense wealth, she didn’t need the money and so tried to donate it to a church, but couldn’t find one that would take her ill-gotten gains. Accordingly, she took her philanthropy into her own hands, to much better effect. The Aiken Hospital was built in 1917, with money donated by Mrs. Iselin and other members of the Winter Colony, all supplemented by proceeds from the show. The first show was a triumph – so much so that it made the front page of the March 21 issue of the Journal and Review. “First Horse Show – Large Attendance at the Pine Tree Polo Club Grounds – Annual Event,” read the headline of an article that was both a celebration and prognostication. “Saturday witnessed the successful initiation of an annual March horse show among the tourists here. By the success of Saturday’s show it is practically assured that this will become an annual institution,” read the first paragraph. And so it turned out to be. The first show was held on one day and comprised 17 classes. By the 1930s, it was a two or three-day-long affair, with as many as 500 entries and thousands of spectators. There were classes for children of all ages and for hunters and jumpers, and for polo ponies, until there were so many of them entered they had to move them to their own show. It was a sporting competition as well as a social event, gathering some of the most notable names from high society to the little horse show ring under the pines. Highlights from the show were regularly written up in the society pages of the New York Times and other publications that celebrated sporting life. By the early 1950s, the horse show was part of Aiken’s “Sports Week.” This was described in detail in a 1950 story in Life Magazine. That issue featured a photograph of a teenaged Aileen Wood on its cover (“Home on vacation from a Virginia boarding school, 17-year-old Aileen Wood rode in the drag hunt and won three ribbons at the Aiken horse show.”) Sports week was the predecessor of the Aiken Triple Crown: “Just as spring begins, the season comes to a climax in Sports Week, which plunges Aiken into seven lively days of horse shows, horse racing, polo games and drag hunts,” explained the article. The horse show continued on through the 1950s and 1960s, and then fell on hard times during the 1970s and 1980s. These were transitional years for the Aiken horse world, a time when the city’s population was changing. There were fewer representatives from the original Winter Colony families adhering to the old equestrian traditions, and the new winter colony of horsemen hadn’t discovered Aiken yet. To make matters worse, the growth of the city was affecting the beautiful show ring under the pines – storm water diverted from city streets flowed into the Woods, causing flooding and erosion. Eventually, this made it necessary to shift the position of the ring. For a time, it looked at though the show might be destined to fade into history. Fortunately, a group of women associated with the Aiken Hounds was determined to keep the show going, and they breathed life back into its traditions. In the late 1990s, William Howard, a local equestrian professional, came on board to run the show. With a clear vision, a sense of style and an appreciation of history, William Howard ushered the horse show into the modern era. Under his decade-long leadership, the one-day affair expanded to two days in 1999 and then to three days in 2002. The tent was added, and the daily luncheons, and the show soon became known, once again, as a social event that was not to be missed. The future of the show ultimately depends on the exhibitors – no matter how enthusiastic the spectators and the sponsors, if there are no horses and riders, there can be no show. In that regard, there are reasons to be optimistic. New exhibitors are coming to the show every year, and new classes and divisions are always being added in response to exhibitor interest. For instance, the sidesaddle division was added a number of years ago at the request of Aiken Ladies Aside, a popular and growing sidesaddle club. The Silver Fox division, limited to older equestrians, has brought quite a few retired riders back into the ring. The 100th annual Aiken Horse Show promises to be a special event and it has already garnered extraordinary support in the Aiken equestrian community. Stable View Farm, the first-class eventing facility, has stepped in as the very first Diamond Sponsor. 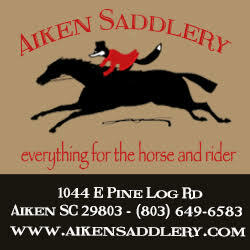 Aiken Saddlery has raised its sponsorship level to Platinum, and there are many other regular sponsors that have returned, and more that are interested in joining. The Centennial Picnic is sure to be a big draw. Click in the image for a larger view of the flier. Although most of the classes and the format remain the same as ever, there are some changes. For instance, on Friday, instead of the regular luncheon under the tent, there will be a Centennial Picnic in the Woods. This is a revival of an old Aiken Horse Show tradition described in Life and Sport in Aiken, a book written by Harry Worcester Smith in 1935 that provides a detailed view of life in the Winter Colony during the 1920s and 1930s. One of those volunteers, Jane Page Thompson, makes an immense contribution every year by organizing the silent auction, which always has unique and valuable items that raise funds for the Hitchcock Woods Foundation. 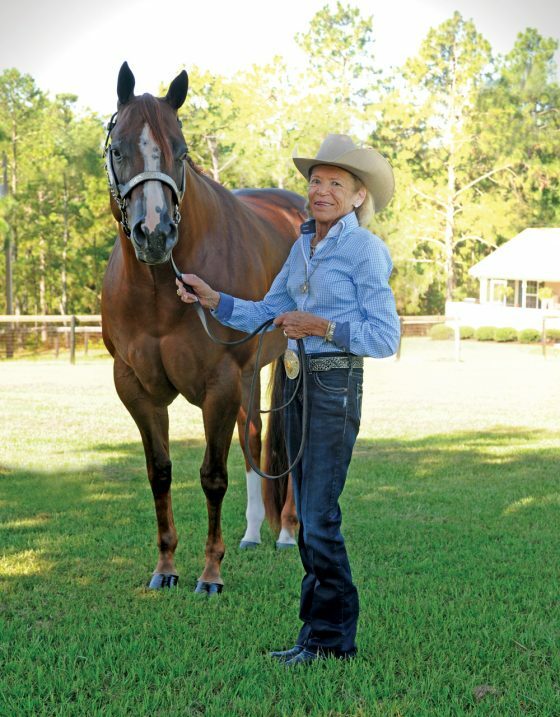 This year, she has an additional contribution in the form of a book she put together called Aiken’s Sporting Life. This book was published in Charleston under Arcadia Publishing’s Images of America series and is filled with rare and rarely seen photos of Aiken’s early days, and most especially of early days at the horse show. 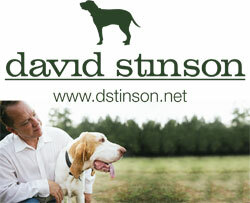 The proceeds from Aiken Sporting Life will benefit the Hitchcock Woods Foundation. Jane Page says 100 percent of the proceeds from the sale of the books, which will be available at the show, will benefit the Hitchcock Woods. The Aiken Horse Show runs from April 1-3, 2016 at the Aiken Horse Show Grounds about a mile into the Hitchcock Woods. For more information, including entry forms, reservations to the luncheon and the picnic, sponsorship information, to donate to the silent auction or to advertise in the souvenir Centennial Aiken Horse Show Program, visit www.aikenhorseshow.org. Or call 803-642-0528. The Winter Season is on! Copyright © 2019 The Aiken Horse. All Rights Reserved. The Magazine Basic Theme by bavotasan.com.